"Lions, and tigers, and bears, Oh My!" Are you ready for the Ultimate Safari Child Birthday Party Ideas? I hope so, because kids are fascinated by animals, whether furry or ferocious and I am going to help you throw your child an Ultimate Safari Birthday Party with all their favorite animals. You might be saying how? Easy...I have developed the best ideas for you to use. You don't need to look anywhere else, because when you finish with this site, you'll have enough ideas for your child's next Ultimate Party! Have fun reading. And don't forget to submit your best Safari Child Birthday Party Ideas for a chance at winning some GREAT prizes!!! But before we get started, here are some Safari Child Birthday Party Ideas for Party Packs. They include just about everything for all your Safari Child Birthday Party Ideas you might have! Now its time to start planning the Ultimate Child Theme Party, but the first question to answer is where do you have it? There are so many options and picking the right one can be difficult for some people. Just remember, as long as your childs family and friends are there, the location really doesnt matter to them. So pick somewhere that is convenient and easy for you to setup and clean up in a minimal amount of time. Now keep reading for more Ultimate Child Birthday Party Ideas. because you are already there! Finally, you know where everything is, how convenient. Now dont get me wrong, you do run the risk of damage and such, so be sure to weigh the benefits and risks and pick whats best for you and your child! * "Child's Name" Jungle Park: An excellent Birthday Party Theme Location is the local park. Now there are a lot of benefits of having the party outdoors...and I think the most obvious is the surroundings. You already have a head start on the decorations, as far as, the trees, dirt, etc. But to get started on selecting the "Ultimate Park", begin by making a list of all the local parks/water parks in the area and write down the key features of each one. For example, how much area is available? is there a playground? tennis court? trash can availability? bathrooms? covered areas? capacity of park? etc. You dont want to show up at an overcrowded park, with no playground or bathrooms and it starts to rain. Spend some time in selecting the right park and I guarantee your party will run a lot smoother. Don't worry, you'll still be able to use a lot of the decorating ideas from this site, so don't stop here...keep reading for more child birthday party ideas! * Store/Internet Bought: If you are reading this idea, it might be because you don't have enough time to create an Ultimate Invitation. Or maybe you just like store bought invitations better. It doesnt really matter because I have found a couple of great safari birthday party invitations you can choose from that will fit your party theme perfectly. Jungle Fun Invitation or Jungle Birthday Party Invitation. * Invitation Help: As you start to create this safari invitation masterpiece, don't forget to check out the Safari clip art for lots of different pictures. They will help you design the inside and out. Good Luck! 2. "Child's Name Safari Spectacular!" 3. "Explore the Jungle with Child's Name"
Before we get started, I have listed a few child birthday party ideas on the design of the invitation and then I will give you ideas on what to say inside. 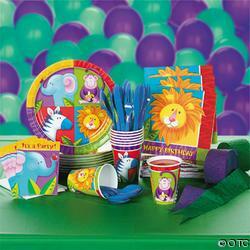 * Safari Child Birthday Party Ideas Invitation #1: Here is a great invitation made out of colored card stock. Make a palm tree with a brown trunk and sage green leaves. Put all the party information centered on the leaves. Finally, glue a monkey to the trunk and grass to the bottom of the tree. * Safari Child Birthday Party Ideas Invitation #2: Start by using one of the "wordings" below and printing it on white card stock. Then matte it with some green "leafy" patterned paper. They should end up tall and skinny which will fit nicely in a business letter sized envelope. Next, put some jungle animal stickers on the card stock and envelope. Send them in a nice neon bright envelope! * Safari Child Birthday Party Ideas Invitation #3: Here is a great "passport" invitation idea. Start by making the passports out of brown card stock and using pictures and ideas from Slawek.com. After you have finished they will look very realistic. Inside the invitation put the child's name, date of issue and passport number (write it so you have to turn it to the side to read it like a real passport) and staple light blue typing paper (cut to fit, their were about 4 sheets inside the passport so the weight feels real when you hold it). in honor of "child's name" "age" Birthday! and sahara plains on "date". The adventure will last from "time". All explorers must bring their passports to " address" at the appointed time. They are necessary in order to obtain a travel permit. Adventurers should also practice their wild animal sounds. They will serve as passwords for embarkation. Lions, and tiger, and bears, Oh My! Don't be late for the a party with "child's name"
The safari departs at "date" and "time"
To reserve your seat, don't be shy and call "phone number"
So don't delay and miss this important date! The jungle cruise leaves at "date" & "time"
So don't delay and call "number" to join the team! You're invited to help "name"
celebrate her "age" birthday with an animal safari. "date", "time", "address", and "Phone #" with a "RSVP date". 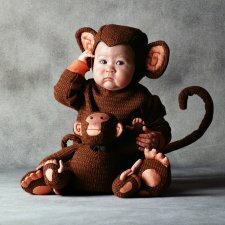 Come Monkey Around With Me! "child's name" is turning "age". Join the jungle safari on "date". Your trip begins at "time" with dinner along the way. We will meet at the "last name" Jungle located at "address". Please call by "date" to save your seat on the jungle safari. Picking out, setting up and fine tuning the decorations can be a long tedious process. But, there is hope, because with a little planning and creativity, it will be one of the most rewarding experiences of the party. I have compiled some child birthday party ideas that start with the outside decorations and finishes with the inside decorations. You can use all, some or none of the ideas, but no matter which child birthday party ideas you choose, they will help turn your party location into the Ultimate Party Location. Attach a bouquet of helium filled balloons to a light post or mailbox so there will be no mistaking where the fun will be that day! Hang Die Cut Green Vines and Jungle Monkeys overhead in the area where the children will enter the party. Line the sidewalk or walkway leading to your door with Static Animal Footprints. Here is a great way to make a jungle tree and you can either place it inside or outside. First, contact your local carpet store and ask if they will give you any hard cardboard rolls the carpet comes on. Next, cut it in the lengths you desire. Then secure them by sticking them in an empty gallon bucket and putting a small amount of plaster to hold them in place. Next, paint the trunks brown and use spanish moss to cover the top of the plaster. Finally, you can make the leaves out of green construction paper (you can buy large rolls from a teacher supply store) and attach them to the tree. Now you have a completed jungle tree. Make a few signs for your front yard. They could say: Monkey Hangout, Beware of the Lions, Hippopotamus Crossing, Zebra Stampede, Giraffes Eating, Jungle Ahead, etc. Don't forget to put out your tiki torches around party area. They are a great Safari decoration. Here is an easy way to make a great birthday banner. Use a white vinyl shower liner and 10" black vinyl letters (you can purchase these from an officer supply store). On the banner you can write something like, "child's name" Jungle Safari. You can also let your children or the guests draw jungle animals all over it. Lets start with the simple decorating. Tie helium balloons of different shades of black, white, red, green, etc. in clusters of 3 or 5 to the back of chairs or tucked into corners. Don't forget to tie a bunch of balloons to the birthday childs chair. If you choose not to use helium, tie balloons to varying lengths of curling ribbon, and hang them from the ceiling or from light fixtures throughout the house. Here are a few Ultimate Latex balloons for your party: Leopard Spots, Tiger Stripes, Zebra Stripes and a Hummer. Let's start with a simple picture backdrop. What better than a Safari Scene for the children to enjoy. Next, lets move on to another simple, yet familiar decorating item, Streamers. Streamers offer an economical way to splash lots of color around the site of the party. Create a fun and colorful effect by draping rainbow colored metallic streamers from the center of the ceiling to the walls on each side of the room. The streamers can be twisted after they are anchored to a ceiling wall or table for a more dimensional look. Two different colored streamers can be placed back to back and twisted for a unique look. After you are done, it should look like a spiral rainbow above the room! They also look terrific hanging from doorframes or cascading vertically down walls. Streamers are an excellent Safari Child Birthday Party Ideas. Note: You can also staple animal cutouts to the streamers to add a great jungle effect. If you want to add a few vines through the party area, start by getting 10" brown crepe paper (party supply store). Attach one end to an electric drill, then turn the drill VERY SLOWLY to pull and twist the crepe paper into vines. Attach them to the ceiling having them hang straight down or looping around the house. Put a sign in front of each party area, for example, Safari Dig, Safari Cafe or Wild Animal Games. Birthday Banner Idea: Purchase banner about 2 yards long and have it airbrushed with animals and bamboo lettering that says Happy Birthday. Check with your local Wal-Mart as most of them have an airbrushing section that will accomplish this task for you. As the children arrive to the party, you should issue them their very own official passport. Start by getting some brown card stock and write, Jungle Safari Passports, across the top. When each child arrives, take their picture with an I-zone camera and put the sticker in the top left corner. Then let them choose a few animal stickers to place on the passport. Next, write their name across the bottom of the passport. Finally, laminate the passport using a peal and stick laminate and tie a string to it to tie around their necks. Passport Twist: On the backside list all the games/activities you will be playing at the party and put a checkbox next to each item. As the children finish an activity or game, stamp their passport. By the end of the party it will look like they have traveled through all the games!!! Use this Ultimate Tiger and Zebra patterned gossamer to make bows for the back of the chairs or to decorate around the party area. Make collages of different jungle animals to hang around the party area. Check out our Free Clipart Section for ideas. I hope you enjoyed all these safari child birthday party ideas for decorations! The colors of the party should be pretty simple. I would stick with green, black, brown, white, purple, etc. After you have selected the party theme colors, decide on whether you will use either printed or solid color party tableware. Here are some great child birthday party ideas for Safari Theme tableware. Going solo on your party theme? Can’t find any party theme tableware you like? Then take a look at the silverware, plates, napkins, etc in solid colors. You’re guaranteed to find a color that matches your birthday party theme. 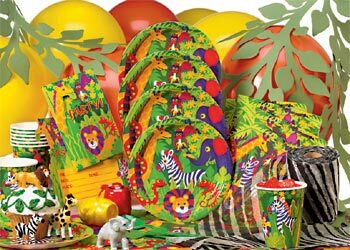 Now that you have picked out the location, selected a few decorations and picked the theme colors and party tableware, what is your child going to wear at their Ultimate Safari Birthday Theme Party? 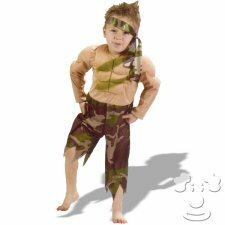 Wouldn’t your child love to dress up as a Jungle Fighter or animal? I know they would, so here is a perfect chance to let them. Here are a few child birthday party ideas for Ultimate costumes!! First, check out these great Face Paint Crayons. You can decorate the children's faces however you want, with cars, tires, steering wheels, etc!!! Look at these great Polynesian and Monkey Masks. Your kids will love them! Here are 2 great Child Birthday Party Ideas for a Safari Birthday Costume for your child to wear at their Ultimate Party. Just click on the image to view. Click here for all the Safari Costumes. Have fun!!! Trying to keep the guests attention until the party starts isn't an easy task. But with these child birthday party ideas listed below you won't have any problems! Let those who’ve arrived early play with Bubbles while they wait for the other guests to arrive. Don’t forget to check out the great collection of coloring pages I have compiled. A coloring activity is a great way to keep the children occupied until the party starts. Plus, you can send them home in their goody bag. A simple game of Lion, Lion, Hyena (i.e. duck, duck, goose) is a great ice breaker activity. You can keep adding children to the circle as they arrive. I have yet to find a child who doesn't like this game, it’s a classic!!! Freeze Dance is another great game to get kids acquainted. The game doesn't require a certain number of kids, so they can join in as they arrive. Play some jungle music as the kids dance. If you stop the music, they must freeze. If they don’t freeze, they are out. The game restarts after all the children have been eliminated except one. Kids love to dance and play games, which makes this an Ultimate Safari Child Birthday Party Ideas. Have the children decorate a large birthday banner in honor of your child that says, “Happy Birthday, Name”. You can get a large roll of paper from a store like Target. Give the children crayons, stickers, and other such items to use. Story time with puppet show: Make the puppets by printing characters off web sites & laminating them. Attach to Popsicle sticks. Play Monkey See, Monkey Do (Simon says) giving the kids commands to make animal sounds or move like animals. Monkey says, “Swing your trunk like an elephant.” Monkey says, “Run like a Cheetah.” “Squeal like a monkey!” The last explorer to obey the monkey wins. Binocular Craft: Have the children make binoculars out of toilet tissue paper rolls. Before the party pre-cover the rolls with animal printed paper. Let the children decorate them with markers and stickers. Have the children make animal necklaces and animal magnets. You can find kits at any local craft store for necklaces and magnets. Before the party buy some small brown paper sacks and attach a string to the top for a handle. Let the kids add safari stickers and decorate their bag however they wish. You could use these as their goody bag if needed. *You can serve the drinks that children love, such as, Capri Suns, Kool-Aid Koolers, Kool-Aid Jammers, boxed juice, etc. Deciding on whether you are going to make or buy the Ultimate cake is a tough decision. It mainly depends on how much time you have and how many guests are coming. I would suggest for a smaller party, you try and make that Ultimate cake. But if there is going to be a large number of guests, maybe a large cake made by the baker would be the best decision. 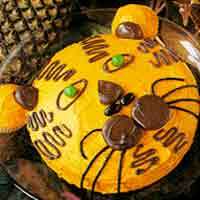 It’s up to you, but here are some Child Birthday Party Ideas for making an Ultimate Safari cake. Tiger Cake: Bake your favorite batter in a 9 inch round pan (to form the Tiger's face) and two lined muffin tin cups (to make Tiger's ears). When the cake is completely cooked, set it at the bottom of a large, rounded serving patter with the two cupcakes on top, to make ears. Frost the cake with orange icing. Use the white Wilton icing and add their orange coloring. Use a lot of the orange gel to get a deep, deep orange. Use ready made chocolate icing for the accents. Make catty shaped eyes and a green M&M for the pupils. Make a triangle nose with the whickers coming out of each side (3 on each side) and a smiley mouth. Add a few chocolate zigzags on the forehead and each side and on the bottom. Snake Cake: Make a snake cake by baking one chocolate and one vanilla cake in a bundt pan. Once cooled, cut the cakes in half and lay them on a cardboard sheet in an "S" pattern. Cut the cake at the tail end to make it skinny like a snake tail and shave a little cake off of the head end to make it "V" shaped. Ice the whole cake green and add mini M&M's for scales. Cut a piece of fruit by the foot for the tongue and stick it into the icing. Click on this Ultimate Cake for the directions on how to make it. Putting together the Ultimate Party Favor bag is one of the funnest parts of the party. You can really get creative here!!! I have listed a few safari themed child birthday party ideas for different favors you could give out. I hope you enjoy! 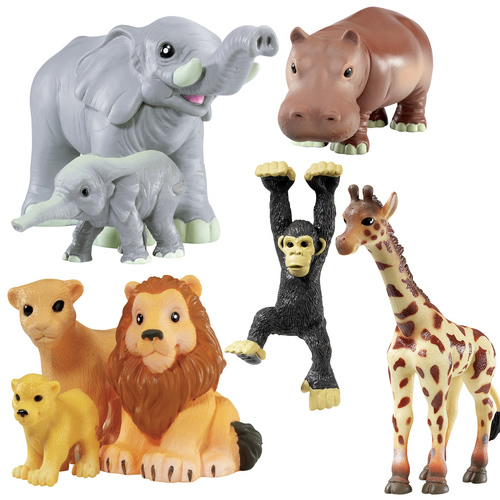 Here are some child birthday party ideas for for an Ultimate Safari toy. Need something besides a Safari toy? 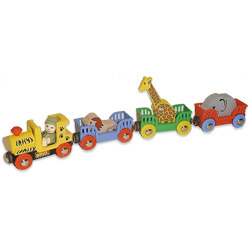 Click here for the Ultimate Child Birthday Party Ideas for toys. Looking for the Ultimate Safari Child Birthday Party Ideas for Games and Activities? Good, I have dedicated a whole page for these games. 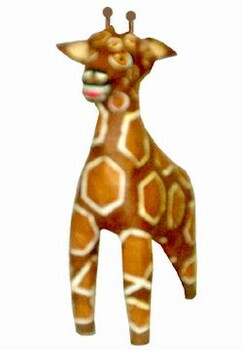 I know you will find enough choices to fill the games section of your Ultimate Safari Party. Before we get to those games, check out these Ultimate Child Birthday Party Ideas for Safari Pinatas. Your child will definitely love them!!! 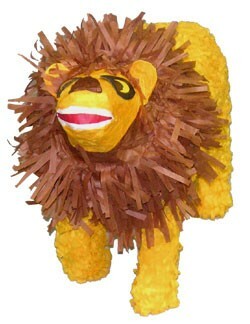 Do these piñatas not quite fit your Safari Birthday Party Theme? Click here for the Ultimate selection of birthday piñatas. Now the parties over, what do you do? Writing down your party child birthday party ideas and thoughts for next year? Sure, but you don’t want to forget about the guests that helped you celebrate your child’s birthday this year. Make sure to send out some type of Thank You note. Whether it is store/internet bought or hand made, just make sure to get them out no later than a week after the party. Also, if you took any pictures at the party, make sure to include one in each Thank You Note. I know any Thank You note you choose will end the best Safari Birthday Party Theme ever! I hope you had fun because I sure did! Happy Partying!! !